Welcome to the first of four parts in the Grammar section of our series “Foundation of the Book of Mormon” Series. Several years ago I was visiting another Mormon ministry website and read how one of the sentences in the Book of Mormon contained sixty plus words. Fast forward a few years and working on a project I came across a sentence that reminded me of what I’d read years earlier. So after reading the Book of Mormon countless times I’ve decided to bring up this boring subject of the writing style of its author. Yes, author. I am of the strict opinion there was only one person who could’ve come up with the nonsense contained therein. The contents of the Book of Mormon can lead a person on many divergent paths of study objects, thus our focus and many articles about it. One item of note is the length of some its sentences. Now I’m not an English major, nor am I a professional writer. However, it’s obvious to me as well as others I’m sure, there are many goofy things to discover in Smith’s narrative. Today we’re looking at the length of sentences. 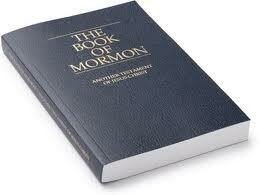 Have you ever been reading the Book of Mormon and thought you were reading the sentence nightmare from hell? I used to think this was just me until I went back and realized the very long paragraph I just got done reading was actually one sentence. Now I went to several publishing and English grammar sites to find out what the protocol is regarding the length of sentences and the bottom line is this: several lines in a paragraph should not a sentence be. Ha, how’s that for an instructive rule of thumb? What I did learn is that a sentence shouldn’t be longer than seventy words (worst case scenario) unless it’s filled with a very interesting topic and it needs to make sense. Two strikes against Smith on those. They also said the sentence following the long sentence should be relatively short. Strike three, he’s outta there! My apologies to those who aren’t sports people. The average sentence should only be around twenty-five words or so. About half the sites I found said it should be as long as you need it to be as long as it makes sense. Because of copyright laws and out of compassion for those reading this I’m only listing the location of the sentences in question. The reason I’ve provided this is for informational purposes if you’d like to share with a Mormon another proof of why Smith wasn’t inspired by God. It’s hard to believe these people were hammering out sentences like this on precious metals. And while I am fully aware that God doesn’t have to follow any grammar guidelines for us humans I wholeheartedly believe God is not a God of confusion and He’s probably not in the business of looking stupid. In the chart below you’ll find ninety questionable sentences containing anywhere from 80-142 words in each sentence.